Macaroni and Cheese is a tasty easy dish for anytime. Best of all, it’s ready in under 30 minutes! 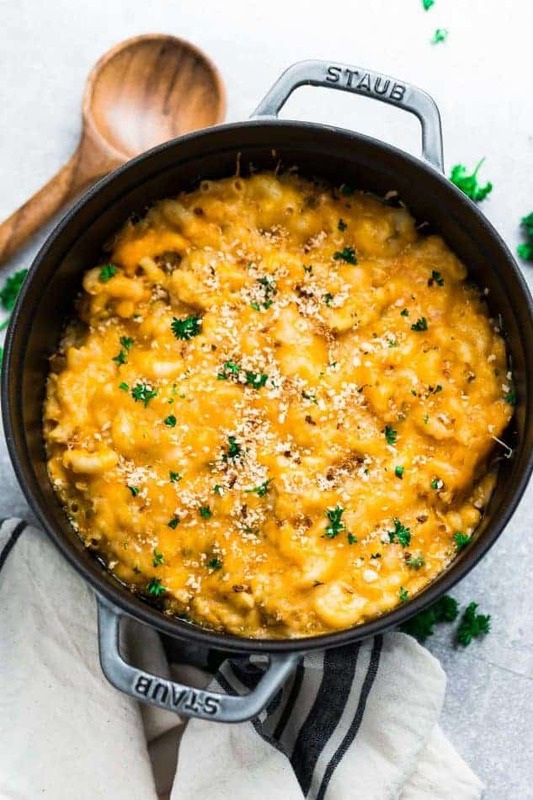 One Pot Stovetop Macaroni and Cheese is the perfect easy dish for busy weeknights. Best of all, packed with 4 favorite cheeses and ready in under 30 minutes! Bring a large heavy bottomed pot or dutch oven of water to a boil. Add the pasta and cook for 6 minutes, or until just al dente. Drain and set aside. Rinse and wipe down the same pot and melt butter over medium heat. Whisk in flour and continue to whisk and cook for 1 minute to create a roux. Whisk about 2/3 cup of milk and continue whisking - it will thicken up pretty quickly. Continue to whisk in remaining milk until smooth. Then add salt, black pepper and seasonings. Turn heat to low and stir in the cheddar, Mozzarella and cream cheese. Add drained macaroni, top with Provolone and stir to coat evenly. Remove from heat and adjust seasonings by adding more salt, black pepper and other seasonings to taste. Add more milk as needed for a creamier sauce. **Best enjoyed on the first day. Store in a tight covered container. Reheat leftovers on low heat and stir in extra milk as needed for a creamier consistency.